Our ultimate goal is to grow the proceeds in our “endowment-style” fund to ensure that PRS can maintain and grow educational programming in the event of reduced external funding. In order accomplish this goal, we need to grow the PRS Educational Fund to $300,000*. We sincerely hope that you will help contribute to long term success of the educational mission of the Perinatal Research Society as we enter the next 50 years. *PRS is a registered 501c3 charitable organization and all contributions are tax deductible. You will receive a confirmation letter from PRS indicating this. To discuss the workshop or her lab’s placenta vascular biology research [Please link to https://www.tuftsmedicalcenter.org/Research-Clinical-Trials/Institutes-Centers-Labs/Mother-Infant-Research-Institute/Laboratories/Wallingford-Lab] with Dr. Wallingford, please feel free to contact her at mwallingford@tuftsmedicalcenter.org. 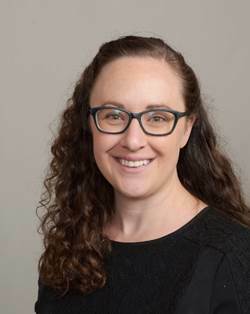 Jackie Parchem, MD is an Assistant Professor in the OB/GYN Department at the University of Texas Health Science Center at Houston (UTHealth). She chose to subspecialize in Maternal-Fetal Medicine in part due to a long-standing interest in human development and the biology of pregnancy. Jackie relocated from San Francisco to Houston with her family in 2015. She joined Raghu Kalluri’s lab at the MD Anderson Cancer Center to study the biology of exosomes in pregnancy. Jackie attended the PRS Grant Writing Workshop and Annual Meeting for the first time this year with encouragement from Laura Goetzl. In addition to working on grantsmanship with an experienced group of PRS faculty mentors, she enjoyed meeting with old and new friends, and has since joined PRS as an Associate Member. She was recently awarded a career development grant from the Society for Maternal-Fetal Medicine. Jackie has two daughters, ages 4 and 1, with her husband who is a developmental neuroscientist at Baylor College of Medicine. 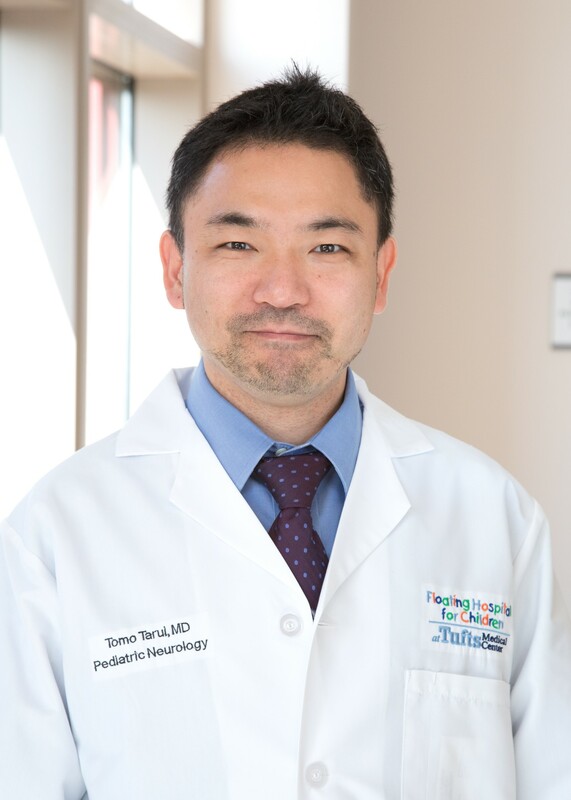 Tomo Tarui, MD is an Assistant Professor of Pediatrics and Neurology at Tufts University School of Medicine and Director of the Fetal-Neonatal Neurology Program at the Floating Hospital for Children. Dr. Tarui has a unique clinical expertise and has been actively involved in the prenatal diagnosis and management of fetal neurological disorders as well as long-term follow up after birth. Dr. Tarui completed his training in Child Neurology Residency and subsequent Fetal Neonatal Neurology Fellowship at Boston Children’s Hospital, Boston MA. After became a faculty at Tufts Medial Center, Dr. Tarui has been pursuing his K23 project “Prenatal diagnosis of brain malformations: Improving assessment of prognosis.” under the mentorship of Drs. Diana Bianchi, Ellen Grant and Donna Slonim. His research has been focused on development of novel diagnostic and therapeutic technologies for fetal and neonatal neurological disorders. In his K project, Dr. Tarui has been developing unique scientific skills in fetal and neonatal neuroimaging research (quantitative analysis of fetal and neonatal MRIs) and genomic research (transcriptomics of fetal neonatal neurological disorders). Dr. Tarui had a great opportunity to participate in Perinatal Research Society, NIH Abbott Grant Writing Workshop/Young Investigator Program in September 2017. Dr. Tarui had privileged opportunity to learn great wisdom of grant writing, oral presentation and scientific figure preparation as well as seeking advice from the world experts in perinatal research. Using the training he obtained from the Workshop, Dr. Tarui was able to publish two peer-reviewed articles, prepare two manuscripts in work, submit three grant proposals, present an oral presentation at the World Congress of International Society of Ultrasound in Obstetrics and Gynecology (Singapore), and two posters at Pediatric Academic Society (Toronto) and International Symposium on Fetal Brain (Washington DC). Currently, Dr. Tarui is preparing for his first R01 proposal to bring up his research to the next translational stage.